There is nothing that quite compares to the connection created when you help another person. There are 8 limbs of yoga, and one of them is called “Seva” which translates to “Selfless Service.” What I have realized about selfless service is that the word “selfless” is almost a misnomer, because there is nothing that nourishes the self as much as service. And when you serve in the company of other people, the friendships formed are deep and powerful and lasting. If you are searching for a way to connect with community locally, find a place to serve. Feeding the hungry is one extremely powerful way to serve. In Los Angeles, the Share a Meal program has brought hundreds of yogis together to make burritos for the homeless in Skid Row and beyond. Yogis who sit shoulder to shoulder working hard to feed people talk about the friendships they have formed there being deeper than anything they’ve experienced in their “regular” life. I see this over and over again at Kundalini Yoga events. The happiest people at these events are the people who come to serve. You’ll see the crew that handles the trash, recycling and composting with the biggest smiles on their faces of anyone. It is deeply inspiring. At 3HO’s Summer Solstice, there is a woman named Ram Das Kaur who saw how overheated and exhausted people were after walking around the large solstice site in the desert all day. She had an inspiration to start washing people’s feet in service. Over the years, this grew into one of the most sought after spots at the festival, called Divine Soles, where you can find a shady spot, always with great music playing, and soak your feet in a tub of cool water with lavender or almond soap and oil and a cuticle brush. 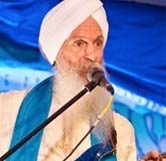 There is a whole team that serves at the event, inspired by Ram Das Kaur. She said she was inspired by Guru Ram Das, who would humbly wash the feet of visitors when they arrived to meet him before they realized who he was. Find out how to apply for 3HO’s Solstice Volunteer Teams Here. At Sat Nam Fest, the volunteers serve through Sat Nam Foundation. 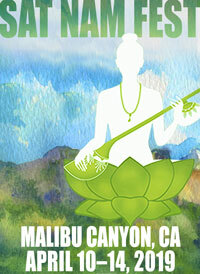 They come to the event to support the experience of everyone who arrives seeking a transformational yogic experience. Through their service, Sat Nam Fest is able to afford to financially support Sat Nam Foundation to then create incredible service programs around the globe. When you see the Sat Nam Foundation volunteers at Sat Nam Fest, their joy and dedication is written all over their faces. And they come back year after year to reconnect with the community that they created through that service. Find out More and Apply for Sat Nam Foundation Volunteer Teams at Sat Nam Fest Here. There is an incredible program that was started by Sikh Dharma in Espanola, New Mexico called the Seva Sadhana program. Sevadars are invited to have an ashram experience through a service exchange in shared housing. Participants work in the Guru Amar Das Community Garden and serve the community langar, participate in Ishnaan Seva and read in the weekly Akhand Path, in addition to other service projects within the community. Sat Nam Foundation has been coordinating Seva Retreats for a few years. These are extremely powerful opportunities to travel to different parts of the world with a community of people devoted to not only spending their days practicing Kundalini Yoga and meditation, but also to serving some of the most vulnerable people on the planet. In November 2018, they will be taking a group to an orphanage in Rishikesh, India called Ramana’s Garden to help install a safe drinking water system for the children. It will be hosted by Dr. Ramdesh Kaur and Michael Jaidev who will be leading the volunteer activities as well as teaching daily yoga and meditation practices. This is the third seva retreat that Sat Nam Foundation has done to this orphanage, and the people who have gone before talk about how it has changed their lives and brought them into a community of sevadars who are now their closest family, no matter how far they are around the globe. If you would like to join this retreat, find out more here. 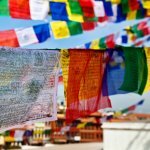 In March of 2019, Sat Nam Foundation will be doing another Seva Retreat with Gurmukh to a remote orphanage in old Tibet, now a part of Northern India. Only 6 people will be able to travel to this remote location that takes 2 days to reach. The orphanage needs support to continue feeding the children, and Sat Nam Foundation in partnership with Gurmukh and Gurushabd (her husband) will be building sustainable infrastructure to provide long term safe water and food for the orphanage. If you would like to join this retreat, find out more here. 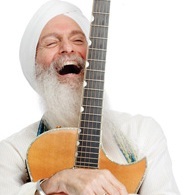 Yogi Bhajan said “Give because God gives to you. Love because that is your purpose in life. Shine because it is important. Share because it is demanded of you.” In doing so, you can find the people who inspire you to continue giving, love, sharing and serving. 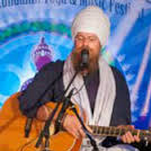 Video: Gurunam Singh at Sat Nam Fest "Sat Nam Waheguru Ji"
Get Your Ticket to a GuruGanesha Band Concert and SAVE on Sat Nam Fest!